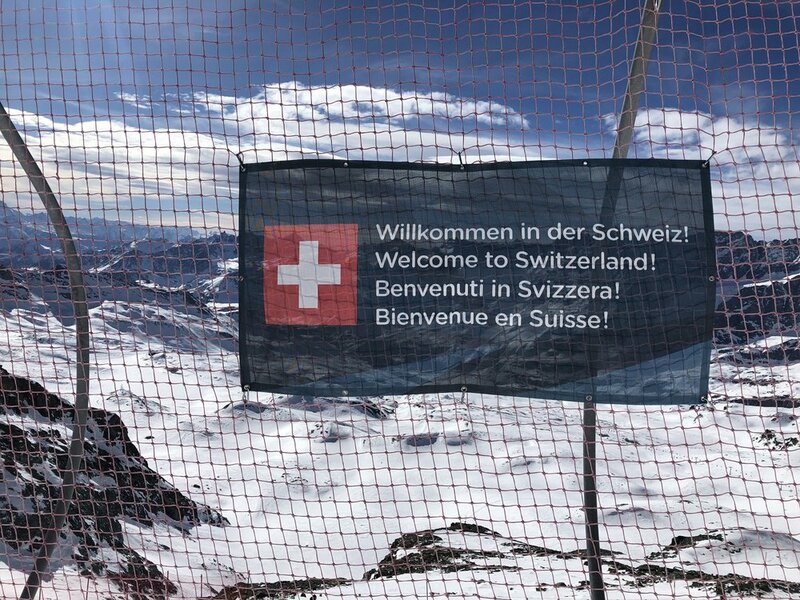 For my first travel post I would love to share some of my trip to Switzerland at the beginning of the month. It was my first time to Switzerland and it did not disappoint. Thanks to my strategic US location of NYC, I was able to fly non-stop on Swiss Airlines from JFK to Geneva. The planes had a bunch of empty seats so I was able to spread out and simultaneously have the joy of looking out the window and the convenience of unlimited bathroom trips that comes with the aisle seat. I also liked that the flight attendants spoke French from the moment I got on the plane, kickstarting the international fun. I am in no way cool enough to get paid to promote airlines, so I can assure you this is honest opinion and I just found the journey really pleasant. Once I arrived in Geneva, I met up with my family who had flown from Philadelphia and Orlando, and we boarded a train to the town of Visp. Pro tip: the train is not cheap, around $100 for a second class seat, but trains are great and the station is connected to the airport, so really, a pleasure. At Visp, you transfer to Zermatt, a town in the Swiss Alps unaccessible by car (yay no pollution or cars honking). 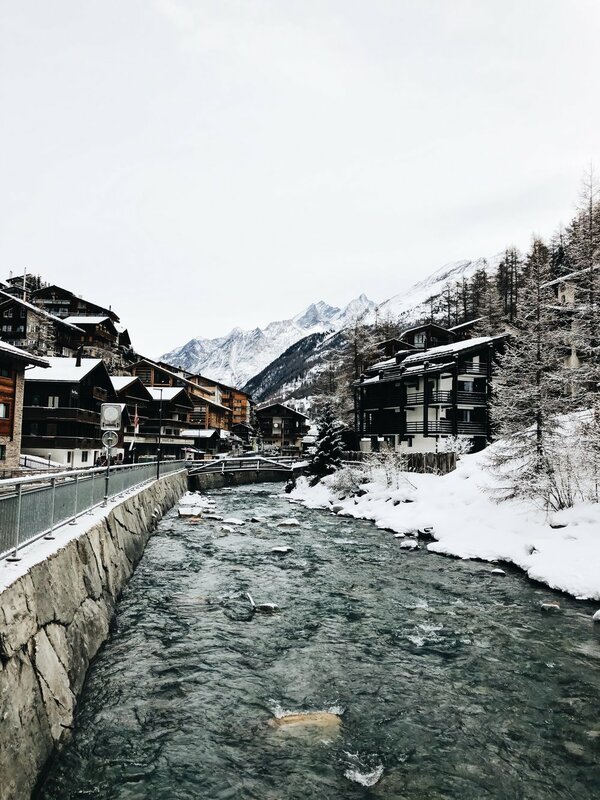 There are some amazing spots in town for après ski drinking (or people watching) Our favorites included Harry’s Ski Bar, Hennu Stall (we only had one beer because we couldn’t figure out how we’d ski drunk), and the Champagne Bar (FYI it’s cash only. We didn’t know and had to rely on the kindness of a stranger who felt bad for us and gave us a drink). There was a good variety of food in the town with great spots for Italian (Zermatt is extremely close to the Italian border) and while prices are high, they are nothing scarier than cities like London and New York. You must make reservations at all restaurants for dinner and if you’re a larger group plan to make them a day or more in advance. One of my favorite dinner spots was Ferdinand Restaurant at CERVO Hotel where I had some amazing fondue and raclette. 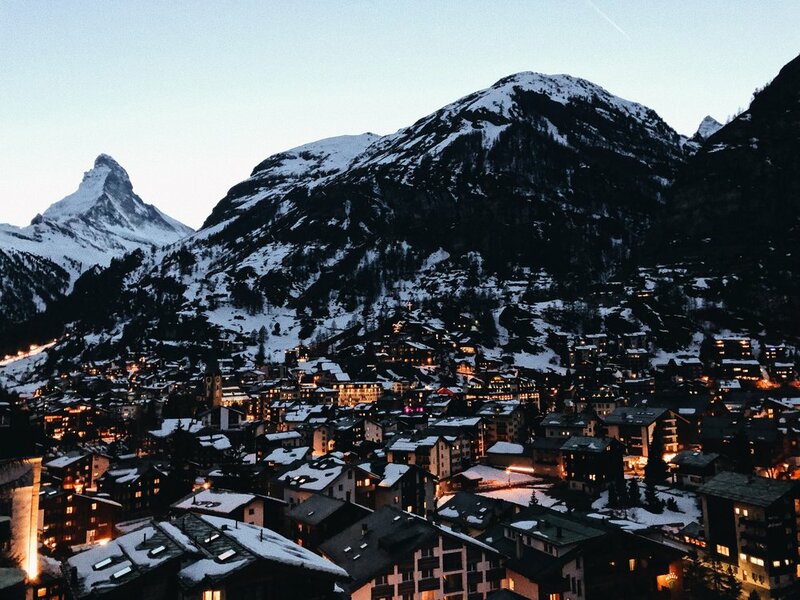 I’m not much of a travel guide writer, so feel free to comment if you have any further questions or want more advice on Zermatt. I’d love to tell you more!